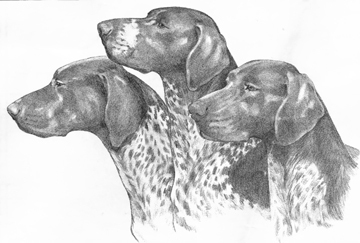 Home > Sporting Group > German Shorthaired Pointer "Head Studies"
German Shorthaired Pointer "Head Studies"
German Shorthaired Pointer. This is a Limited Edition Print, signed and serially numbered by the artist. Image size is 14" x 18".